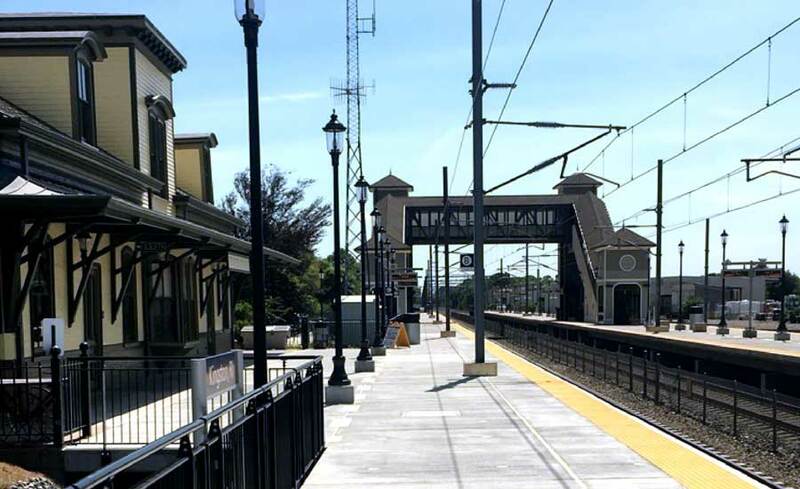 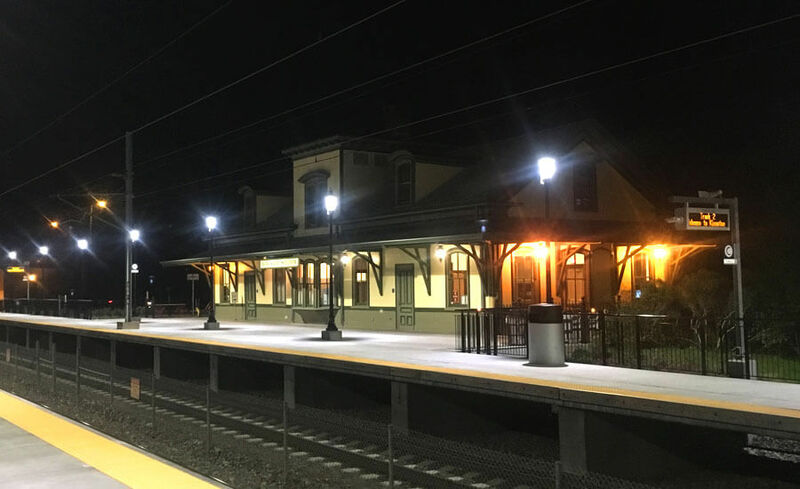 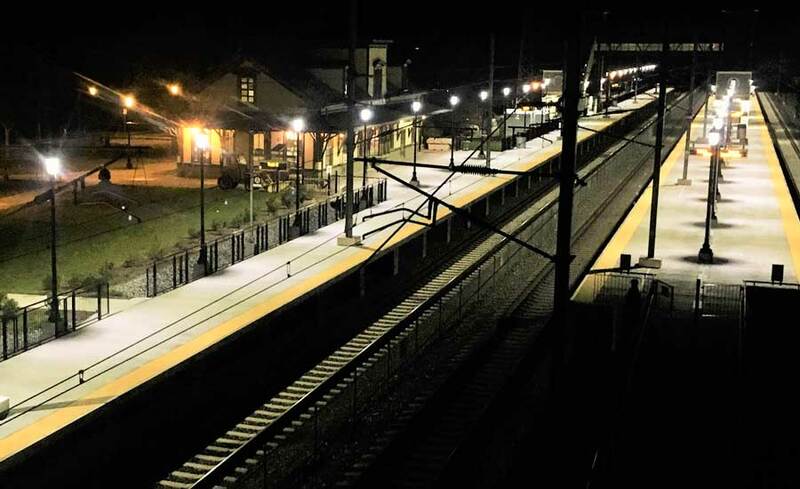 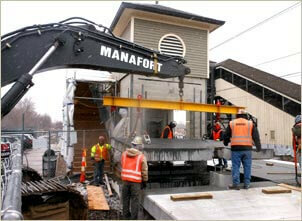 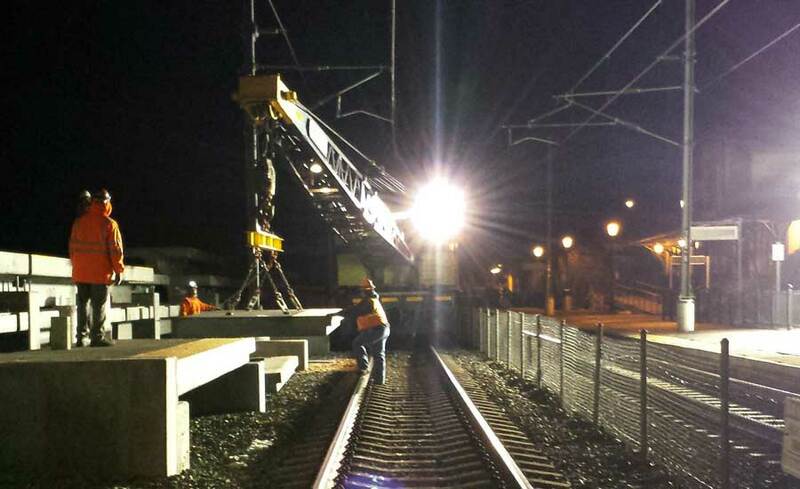 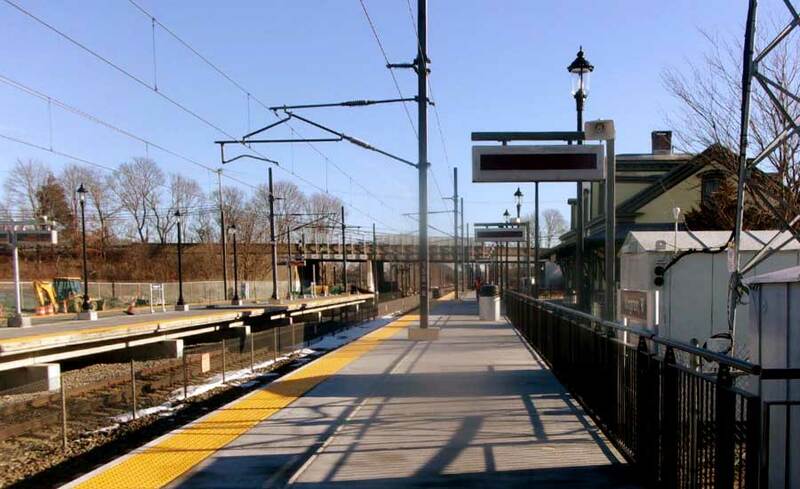 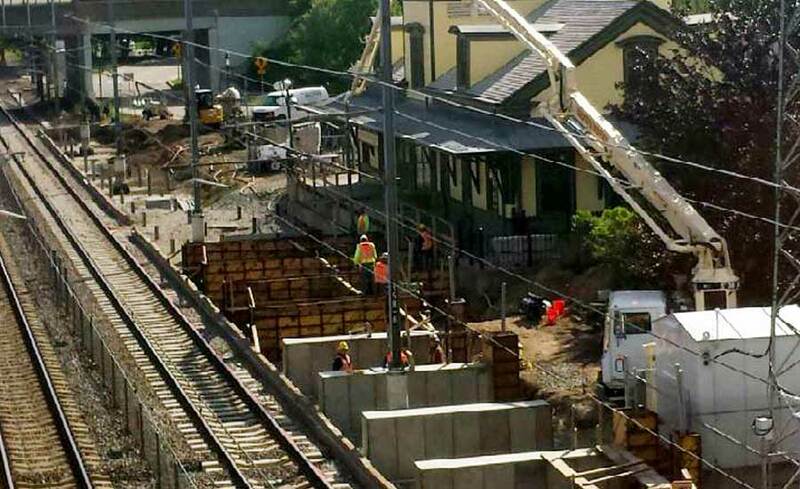 Kingston Station Modifications & Capacity Improvements - Manafort Brothers Inc. 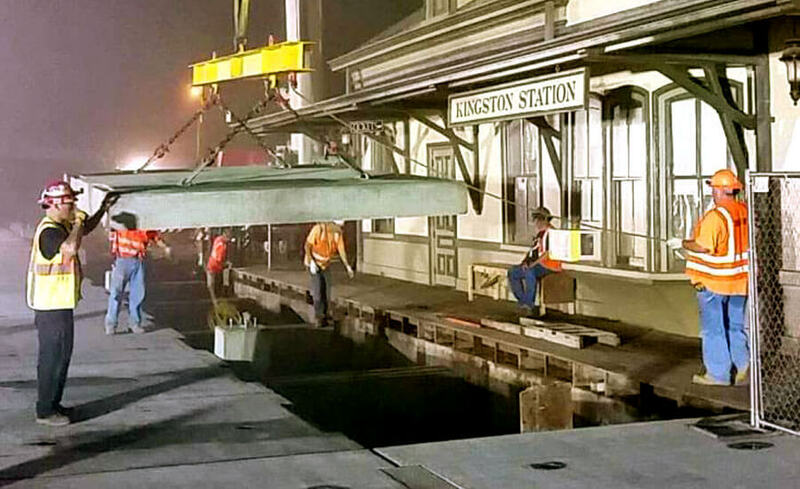 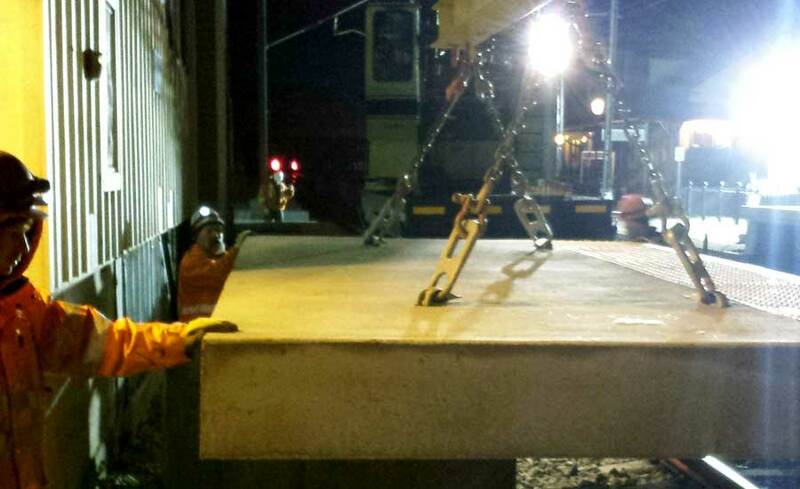 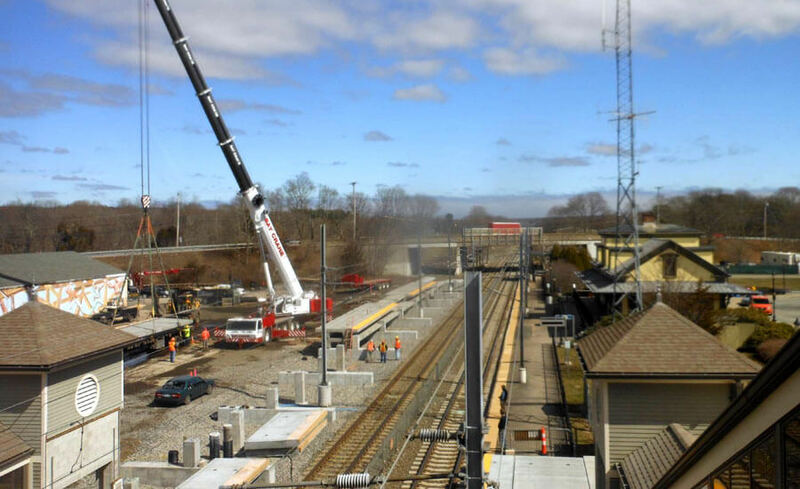 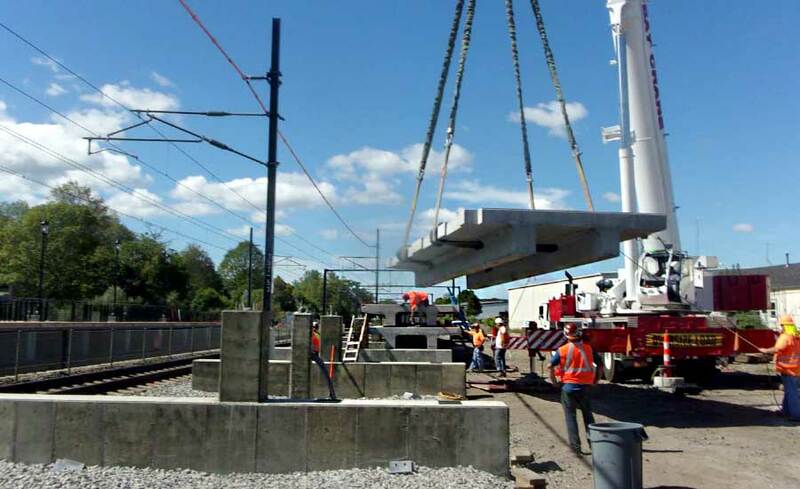 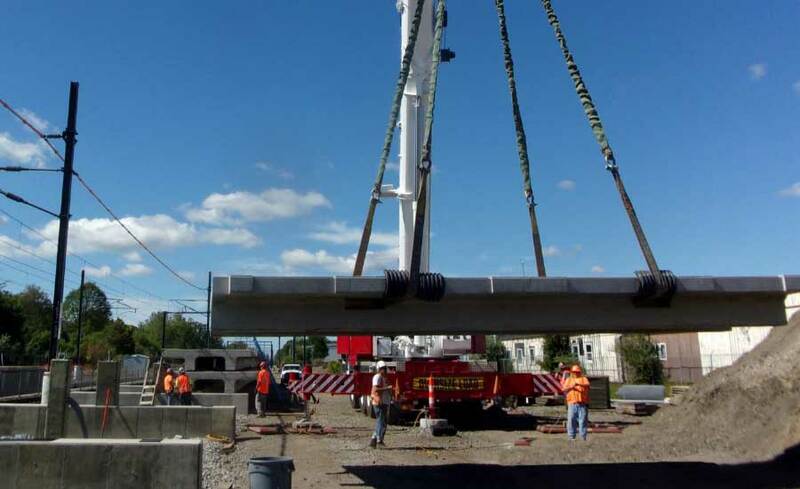 The Kingston Station Modifications & Capacity Improvement Project involved the construction of two new 850 foot long high level platforms comprised of pre-cast concrete platform sections supported on drilled micropiles and cast-in-place concrete pile caps. 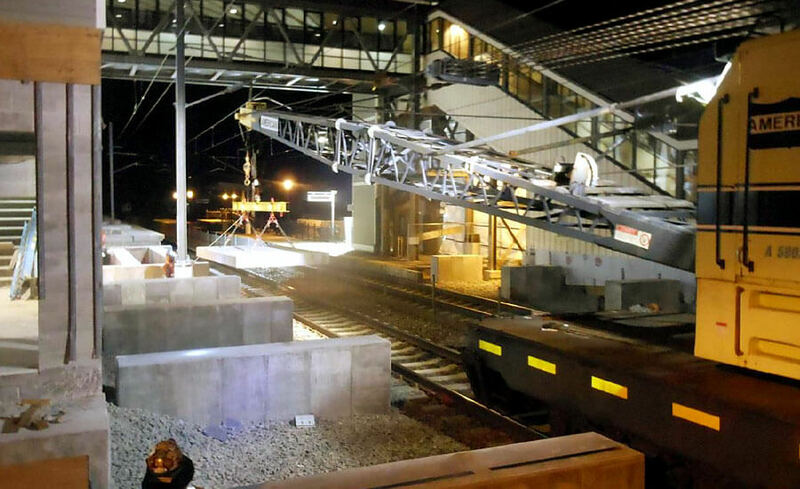 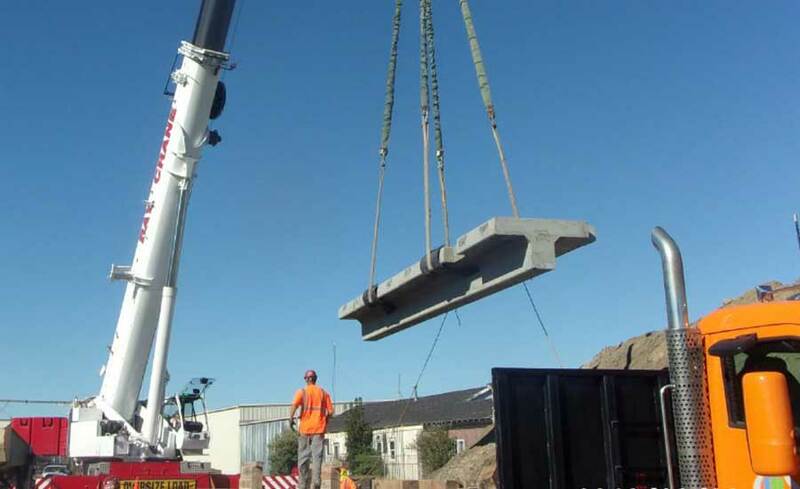 The project also included the construction of 8,250 LF of new rail bed as well as associated Overhead Contact System (OCS) catenary foundations and structures. 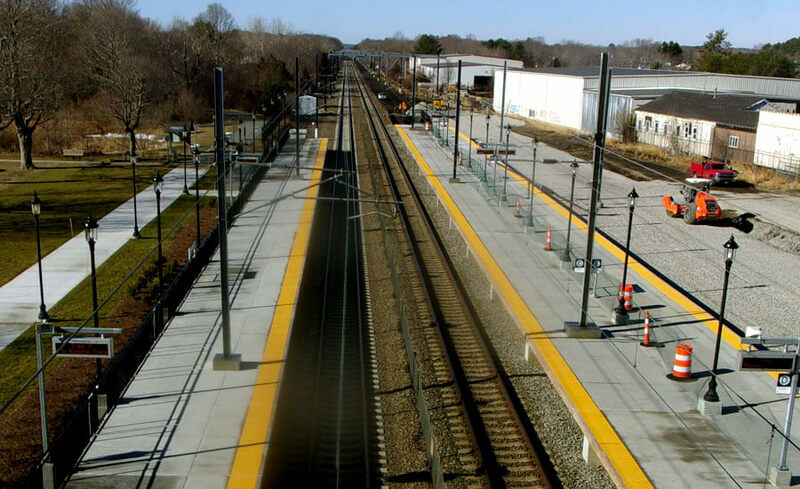 Through detailed project planning and phasing, Station operations and Train service were maintained throughout the life of the project. 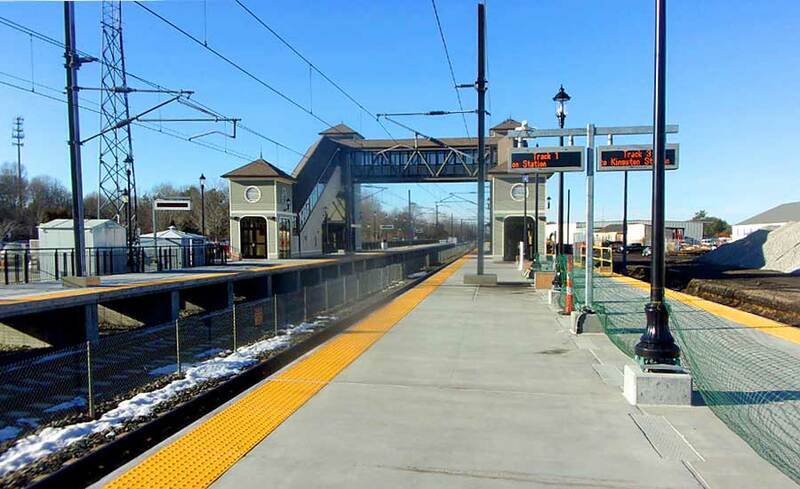 Train speeds through this region are some of the highest train speeds along the Northeast Corridor, approaching 150 mph. 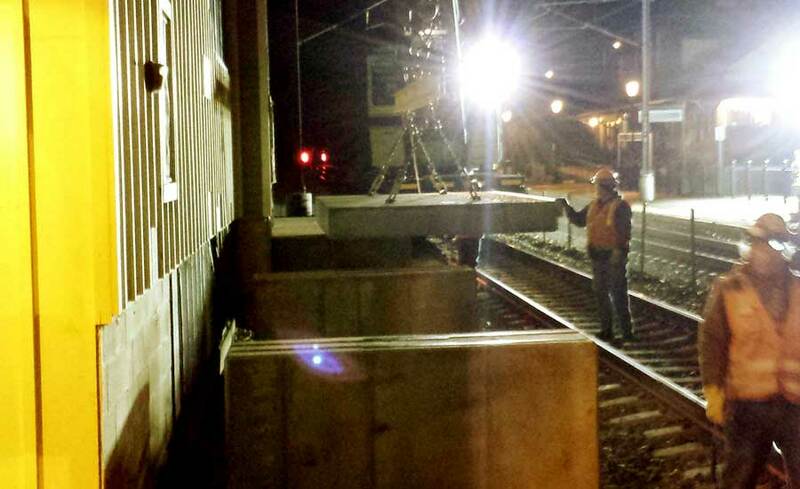 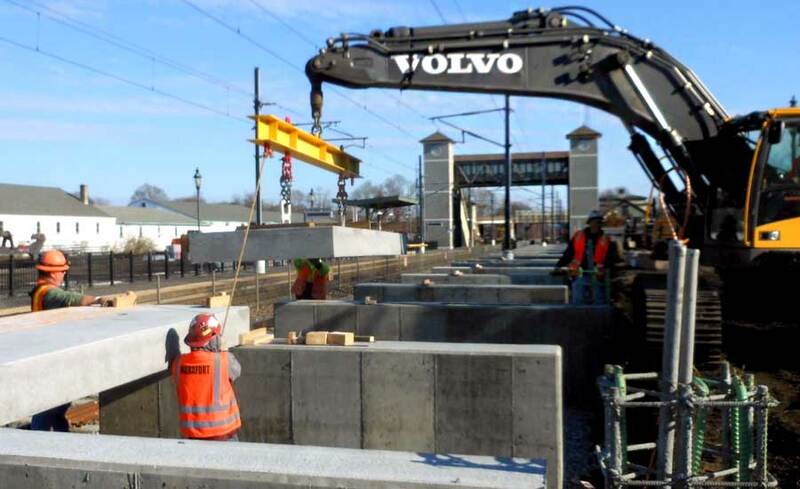 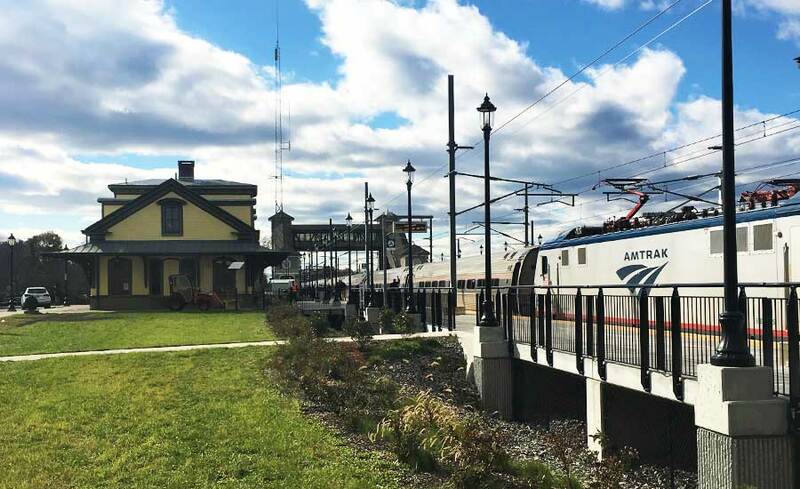 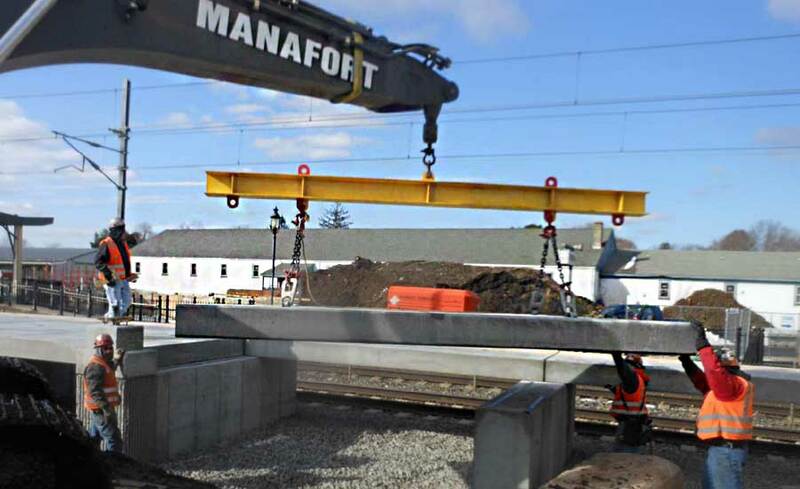 Working closely as a team with Amtrak and RIDOT, Manafort successfully coordinated and performed all demolition and construction work within the right of way without incident. 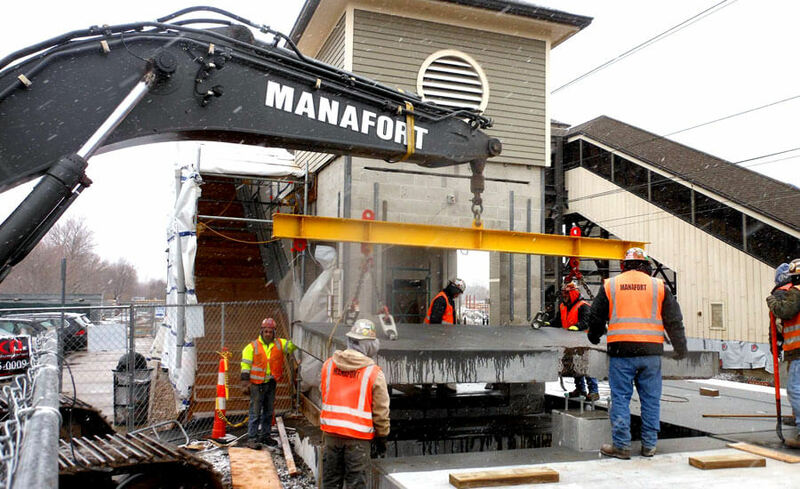 Manafort served as the Prime Contractor for the project and self-performed a majority of the work including demolition, platform excavation, cast-in-place concrete pile cap construction, pre-cast concrete slab fabrication and all pre-cast concrete platform installation.